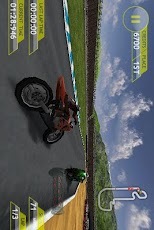 Motorbike GP on galaxy Y or any QVGA device! Ride your motorbike with this amazing sport bike simulator! Feel the realism of the amazing physics emulation on the 12 bikes and 5 tracks based on real circuits. The 3 camera views from behind,cockpit and fullscreen will add another 3D effect that completes the feeling of being really there. extract the data folder and you will get a folder "motorrGP"
paste this folder into sdcard - sdcard/...here..
XPERIA S Home Launcher for ANDROID! HOW TO USE SWYPE AS DEFAULT KEYBOARD! How to flash GALAXY y with odin (reinstalling phone's software) the easiest way!! Real Football 2011 on galalxy y or any Android device! Grand Theft Auto (GTA) 3 on Galaxy Y or any QVGA device.